Laryngitis is caused by inflammation of the larynx, often resulting in a temporary loss of voice. When air is breathed in, it passes through the nose and the nasopharynx or through the mouth and the oropharynx. These are both connected to the larynx, a tube made of cartilage. The vocal cords, responsible for setting up the vibrations necessary for speech, are located within the larynx. The air continues down the larynx to the trachea. The trachea then splits into two branches, the left and right bronchi (bronchial tubes). These bronchi branch into smaller air tubes that run within the lungs, leading to the small air sacs of the lungs (alveoli). Either food, liquid, or air may be taken in through the mouth. While air goes into the larynx and the respiratory system, food and liquid are directed into the tube leading to the stomach, the esophagus. Because food or liquid in the bronchial tubes or lungs could cause a blockage or lead to an infection, the airway must be protected. The epiglottis is a leaf-like piece of cartilage extending upwards from the larynx. The epiglottis can close down over the larynx when someone is eating or drinking, preventing these substances from entering the airway. In laryngitis, the tissues below the level of the epiglottis are swollen and inflamed. This causes swelling around the area of the vocal cords and they can’t vibrate normally. Hoarse sounds or loss of voice are characteristic of laryngitis. Laryngitis is a very common problem, and often occurs during an upper respiratory tract infection (cold). However, the primary medical cause of laryngitis is a viral infection. The same viruses that cause the majority of simple colds are responsible for laryngitis. In extremely rare cases, more harmful bacteria or the bacteria that causes tuberculosis (TB) may cause laryngitis. In people with faulty immune systems (like AIDS patients), infections with fungi may be responsible for laryngitis. Symptoms usually begin with a cold. The person may have a sore, scratchy throat, as well as a fever, runny nose, aches, and fatigue. Difficulty swallowing sometimes occurs, and the patient may have a ticklish cough or wheeze. Most characteristically, the patient suffers voice loss or the voice will sound strained, hoarse, and raspy. In extremely rare cases, the swelling of the larynx may cause symptoms of airway obstruction. This is more common in infants because the diameter of their airways is so small. In that case, the baby may have a greatly increased respiratory rate and exhibit loud, high-pitched sounds with breathing (called stridor). Laryngitis is easily recognizable. People realize they can’t speak or that their voices are hoarse. In most cases, they know the cause. Laryngitis could be the next phase of the flu or the result of cheering too energetically during a football game. In addition to being an easily recognizable condition, laryngitis is a self-limiting condition that goes away on its own. In most cases, laryngitis can be treated at home. However, a doctor should be consulted if the laryngitis occurs for no apparent reason or if hoarseness lasts for more than two weeks. A doctor may diagnose another condition such as an underactive thyroid. Symptoms of underactive thyroid include tiredness, constipation, aches, and dry skin. Diagnosis is usually made by learning the history of a cold that is followed by hoarseness. The throat usually appears red and somewhat swollen. Listening to the chest, neck, and back with a stethoscope (an instrument used to hear heart and lungs sounds) may reveal some harsh wheezing sounds when the person breathes. With chronic laryngitis, TB may be suspected. Using an instrument called a laryngoscope, a doctor can examine the airway for redness, swelling, small bumps of tissue called nodules, and irritated pits in the tissue called ulcerations. Special skin testing (TB testing) will reveal if the person has been exposed to TB. Alternative treatments for laryngitis include various herbal therapies, as well reflexology, homeopathy, relaxation, and exercise. Resting the voice is especially important, as is consulting a doctor or practitioner if symptoms last for more than two weeks. Practitioners who treat laryngitis include naturopathic doctors and ayurvedic doctors. Naturopathic medicine focuses on whole body health care; the ayurvedic practitioner concentrates on maintaining balance between the body and the world. Acupuncture or accupressure, elements of traditional Chinese medicine (TCM), may provide some relief. A TCM practitioner may prescribe Throat Inflammation Pills, which are also known as Laryngitis Pills. The pill is an over-the-counter Chinese formula. The usual dosage for adults is 10 pills taken three times daily. This is a short-term treatment and should be stopped after three days. An ayurvedic practitioner could prescribe an infusion of mint, ginger, or cloves, as well as a milk decoction or licorice root powder. Numerous herbals can be used to treat laryngitis. Herbal lozenges and throat sprays can provide immediate relief to a raw throat. Herbs that are effective for laryngitis include thyme, horehound, cardamom, plantain, cinnamon, and eucalyptus. Commercial cough medicines that are effective include herbs such as anise, fennel, and peppermint. A person can gargle with warm salt water and slippery elm bark, wild cherry, and mallow. Echinacea tincture taken in water is recommended to boost the immune system. The tincture consists of 10 drops (1/8 teaspoon or 5/8 ml) of the herb in a glass of water. This mixture is taken frequently, or 5 ml three to four times a day. Antiviral herbs such as usnea, lomatium, and ligusticum may help speed recovery. Poke should be taken as a last resort. It’s a strong herb that should be taken only in small amounts and under the direction of a healthcare professional. However, there are many other herbs that can be purchased as packaged cold and throat remedies or used to prepare home treatments. HYDROTHERAPY. A person can use a vaporizer for relief by inhaling steam. A natural version of the vaporizer is a boiling pot of water with herbs or essential oils added. The amount of these ingredients varies. A small handful of sage or eucalyptus leaves may be added to the water. When using essential oils, 1-2 teaspoons (4.5-10 g) of an oil such as sage, eucalyptus, lavender, benzoin, frankincense, thyme, or sandalwood are added. The pot is removed from the stove and the ingredients are allowed to steep. The person places a towel over the head for a tent-like effect, leans over the pot, and breathes in steam through the mouth. HERBAL TEAS. Commercial products like horehound tea will provide relief. For brewing tea at home, 1 cup (250 ml) of boiling water is poured over 1-2 teaspoons (4.5-10 g) of an herb. The tea is steeped for about 10 minutes and then strained. Generally, up to 3 cups of tea may be drunk daily. Helpful herbs for teas include capsicum (cayenne), which is used to treat conditions caused by a cold or flu. Capsicum tea might be a painful treatment if inflammation is severe. Ginger root helps with chest congestion. Other useful herbs include cardamom, eucalyptus, spearmint, rosemary, sweet Annie, nutmeg, lavender, bee balm, peppermint, tansy, mallows, and mullein. GARGLES. A home gargle is prepared like herbal tea. One cup (250 ml) of boiling water is poured over 1-2 teaspoons (4.5-10 g) of an herb. This mixture is steeped for about 10 minutes and then strained. The solution is gargled for about 10 seconds, and repeated every three to four hours. Herbs recommended for gargling include coltsfoot, garden raspberry, golden seal, mullein, plantain, red sage, yarrow, licorice, and slippery elm. Drinking more liquids and eating raw fruit and vegetables. Eating certain foods. Candied ginger, honey, lemon, and pineapple juice are soothing. Spicy foods with ingredients like garlic, cayenne pepper, horseradish, mustard, or ginger are helpful. Using vitamins. They can also help the immune system. The recommended dosages are 1,000-3,000 mg of vitamin C and 10,000-20,000 I.U. of vitamin A (beta carotene). Using a compress. A compress is a form of hydrotherapy that starts by placing a warm washcloth on the neck. Next, a long cotton cloth is soaked in cold water. After the cloth is wrung out, it is wrapped around the neck. Then a long piece of wool flannel such as a scarf is wrapped around the wet cloth. The flannel is secured with a safety pin and remains in place for at least 30 minutes. The compress can be worn overnight. Relaxing and exercising. Since anxiety can cause laryngitis, both relaxation techniques and physical exercise can reduce stress. Breathing deeply. Deep breaths and breathing exercises can make the respiratory system stronger. Reflexology is a healing method that involves the manipulation of certain parts of the body to bring about balance. For laryngitis, the reflexology focus is on the throat, lung, chest, lymphatic system, and diaphragm points on both feet. Also recommended is manipulation of all points on the sides and bottoms of the toes. Homeopathy is a healing method that is based on the theory that “like cures like.” The potency of a homeopathic remedy is indicated by an “x.” This indicates the number of times that one part of a remedy was diluted in nine parts of a dilutant. Distilled water is the preferred dilutant. The potency of a remedy can also be expressed as “c,” the number of times one part of the remedy was diluted in 99 parts of a dilutant. Aconite (6x or 12x). It’s taken every two hours at the very start of a cold or when the voice is lost and the person has a dry cough. If there is no improvement after four or five hours, another remedy such as spongiatosta is taken. Spongia tosta (12x). It’s taken four times daily for laryngitis combined with a dry throat. Arnica (6x or 12x). 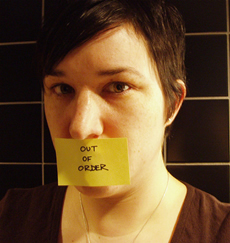 It’s taken hourly when loss of voice is caused by overuse or trauma. Treatment of a simple, viral laryngitis relieves the symptoms. Gargling with warm salt water, using pain relievers such as acetaminophen, using a vaporizer to create moist air, and resting will help the illness resolve within a week. Over-the-counter remedies such as throat sprays and lozenges may provide relief. For an infant who is clearly struggling for air, a doctor may put in an artificial airway for a short period of time. This is very rarely needed. When a doctor is consulted, antibiotics may be prescribed. The person with an underactive thyroid could be prescribed a thyroid hormone supplement. An individual with tubercular laryngitis is treated with a combination of medications used to treat classic TB. For people with fungal laryngitis, a variety of antifungal medications are available. The prognosis for people with laryngitis is excellent because it is a self-limiting condition. Recovery is complete, usually within a week. In the meantime, alternative remedies can provide relief. 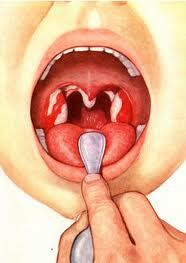 Prevention of laryngitis is the same as for any upper respiratory infection. People should wash their hands frequently and thoroughly, and should avoid contact with people who might be sick. However, even with relatively good hygiene practices, most people will get about five to six colds per year. It is unpredictable which of these may lead to laryngitis. Resting the voice is important, particularly for people like teachers, politicians, or actors who talk for long periods. Not speaking for a time is one way to rest the voice. Before giving a lengthy speech or attending an exciting championship game, herbal remedies can be used preventively to soothe the larynx. If anxiety provokes laryngitis, a person should practice a relaxation technique or exercise to reduce stress. In all cases, smoking should be avoided. Since alcohol can irritate the throat, consumption may need to be limited.